~The end times have seen a great amount of interest in the last two decades, but there hasnâ€™t been a comprehensive overview of biblical prophecy and eschatology for more than five decades. Mark Hitchcockâ€™s book is that comprehensive resource for the twenty-first century. 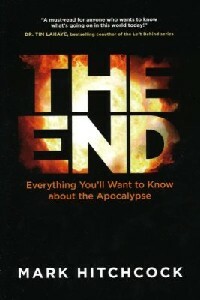 The End will do for eschatology what Randy Alcornâ€™s Heaven did for peopleâ€™s understanding of heaven. It provides a solid biblical foundation for Christians to explore the essential truths around the topic of the end of the world. The End lays out biblical prophecy in a clear and understandable way explaining how to interpret Bible prophecy, pointing out key passages, events, and characters. It also discusses the strengths and weaknesses of the different views on the Rapture, the Millennium, and the chronology of end times events.